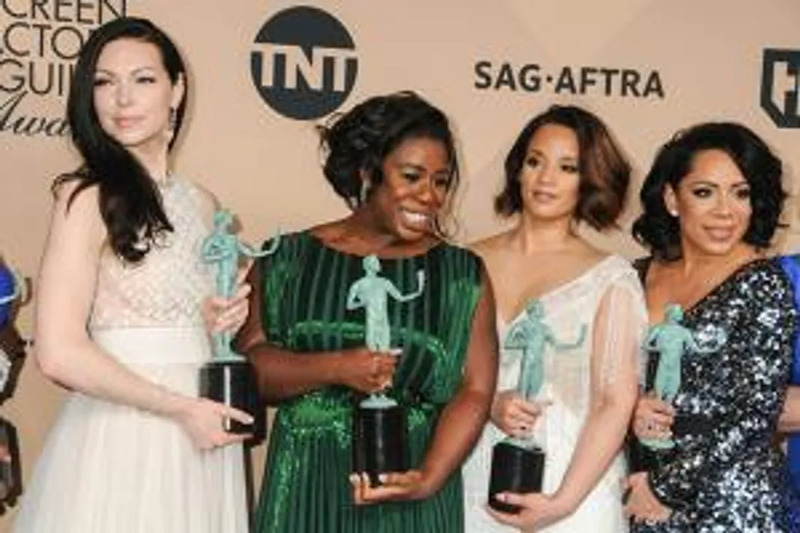 Laura Prepon is constantly inspired by her Orange Is the New Black co-stars’ “incredible body image”. The 35-year-old actress plays Alex Vause in the hit Netflix show, which centres on a women’s prison. She stars alongside actresses including Taylor Schilling, Taryn Manning and Uzo Aduba in the programme and feels their self confidence is liberating. The raven-haired beauty was in New York to promote her new diet and lifestyle book The Stash Plan, which she wrote alongside nutritionist Elizabeth Troy. While she has received critical acclaim for her role as Alex, Laura admits she feels her work improves dramatically when she sticks to a healthy diet. The Stash Plan is a 21-day regimen that combines traditional dietary wisdom with the latest food science and weight loss research. Both Laura and Elizabeth want the book to be seen as a long-term solution rather than a quick fix diet. “If you look at survival of the fittest and things like that,” Laura said. “When you do this plan and you really start to jump start your body into operating the way it should be, naturally you lose weight because your body wants to be a lean, mean machine.